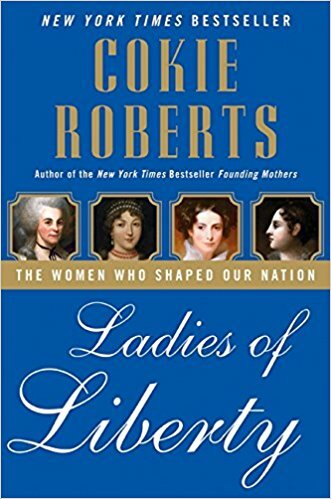 LADIES OF LIBERTY: THE WOMEN WHO SHAPED OUR NATION uses humor, insight and personal diaries to honor the heroic women who helped create this nation. 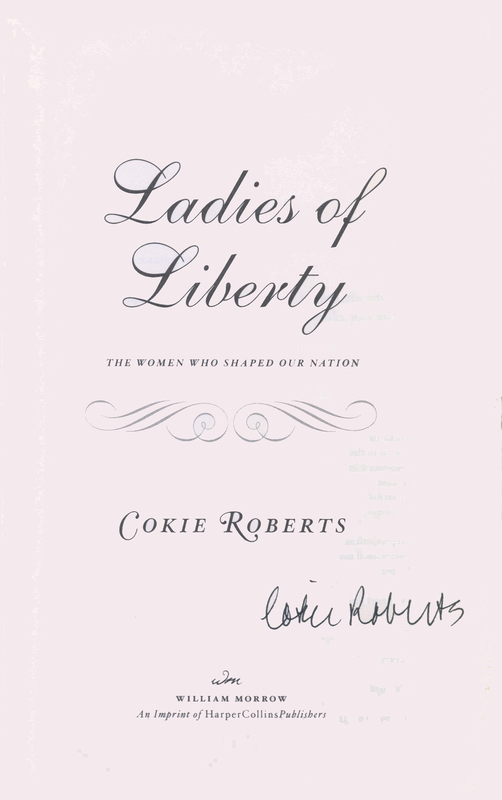 THIS COPY (shown below) was signed on the title page by Cokie Roberts at the store. It is a new, unread first edition opened only for signing. 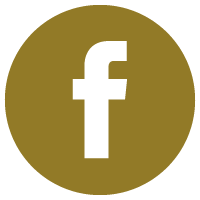 Published in April, 2008 by William Morrow, an imprint of HarperCollins. 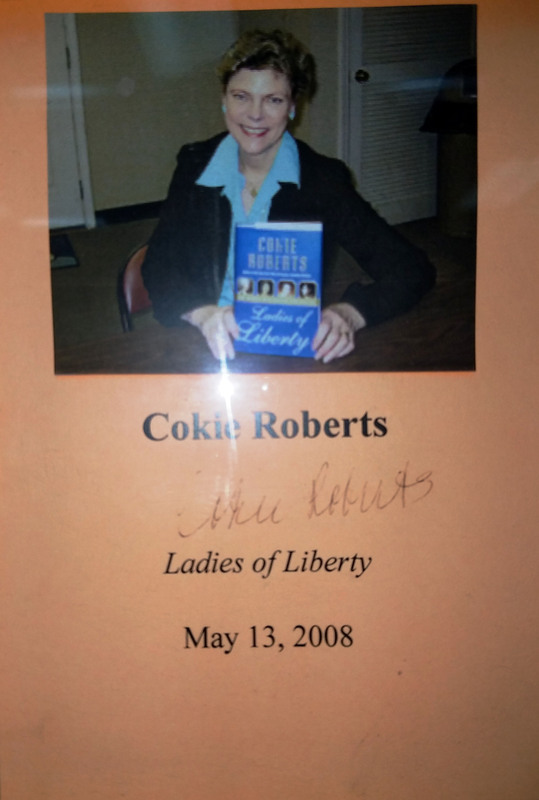 COKIE ROBERTS (pictured below from our Wall of Fame) is one of the most gracious, knowledgeable and talented writers ever to visit. 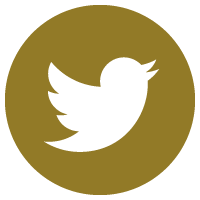 She is an award winning political commentator for ABC News and NPR. 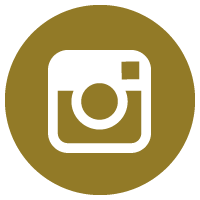 Her mother and father, between them, served in congress for the majority of the twentieth century. She is also a New York Times #1 best-selling author. Thank you Cokie Roberts for signing our books.